Everything in this universe is made up of material which scientists have named “matter”. The air we breathe, the food we eat, stones, clouds, plants and animals, even a small drop of water or a particle of sand everything is matter. Matters have both mass and volume. “Panch Tatva”, air, earth, fire, sky and water. According to them everything, living or nonliving, was made up of these five basic elements. 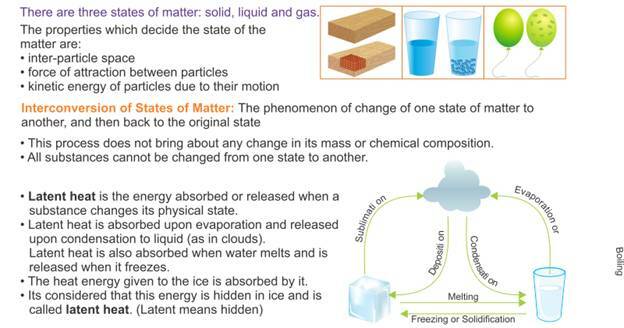 Matter around us exists in three different states Solid, Liquid and Gas. Particles of matter are continuously moving, that is, they possess what we call the kinetic energy. As the temperature rises, particles move faster. So, with increase in temperature the kinetic energy of the particles also increases. Particles of matter have force acting between them. This force keeps the particles together. The strength of this force of attraction varies from one kind of matter to another. Applying pressure and reducing temperature can liquefy gases. Boiling is a bulk phenomenon. Particles from the bulk (whole) of the liquid change into vapour state. Phenomenon of change of a liquid into vapours at any temperature below its boiling point is called evaporation. Evaporation is a surface phenomenon If the surface area is increased, the rate of evaporation increases. Humidity is the amount of water vapour present in air. If the amount of water in air is already high, the rate of evaporation decreases. 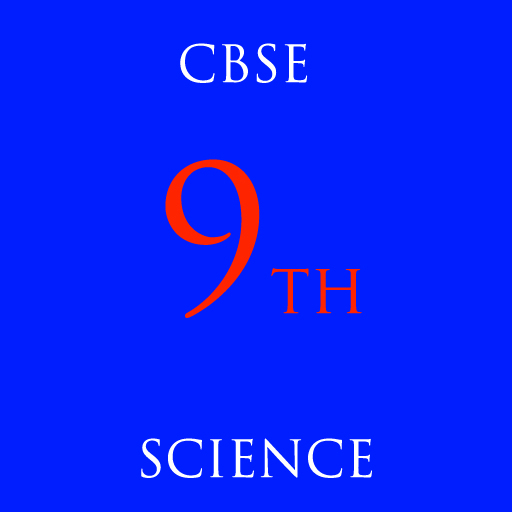 Now scientists are talking of five states of matter: Solid, Liquid, Gas, Plasma and Bose-Einstein Condensate. extremely low density, about one-hundred-thousandth the density of normal air, to super low temperatures.